The truth is, I don't really cook that much in the summer. Okay, that's relative... 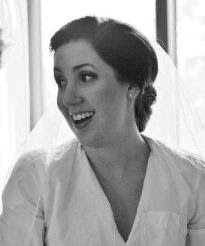 I mean, I'm always cooking, but the way I do it changes big time in the warmer months. In the winter I make more composed, planned dishes, but summer is more freewheeling. If you let the produce lead you in the summer, you'll not only have delicious meals, but spare time to slip n'slide and chase the ice cream man. This week's corn was too gorgeous to pass up, so I found it some friends for the world's freshest summer succotash. 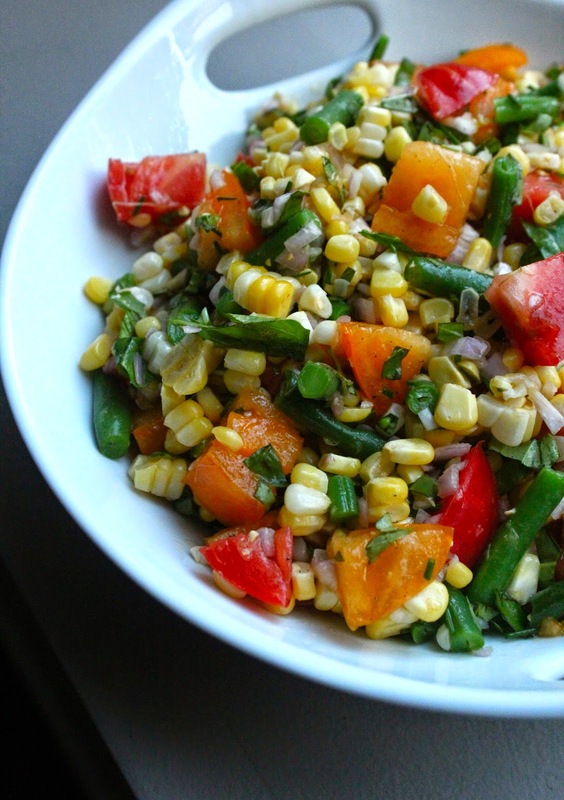 Summer corn, tomatoes and green beans were basically born to be best summer friends. They even made friendship bracelets at camp. Shallots, basil and chives are part of the group too, but let's get real, corn, tomatoes and green beans are really the most popular ones. Pardon my imaginary foray into pre-teen vegetable social dynamics. The bottom line is that corn, tomatoes and green beans taste amazing in July and you should eat them all together. And you don't need to do much to have a delicious dinner. That's the beauty of summer cooking. Prepare corn according to your preference -- either boiled or grilled (my preference). Once cooked, cut the kernels off the cob and place in a large bowl. Bring a medium pot of water to a boil and add green beans. Cook for 1-2 minutes until they turn bright green. Remove from boiling water and immediately put in an ice bath. Once completely cooled, drain and add to large bowl with corn. 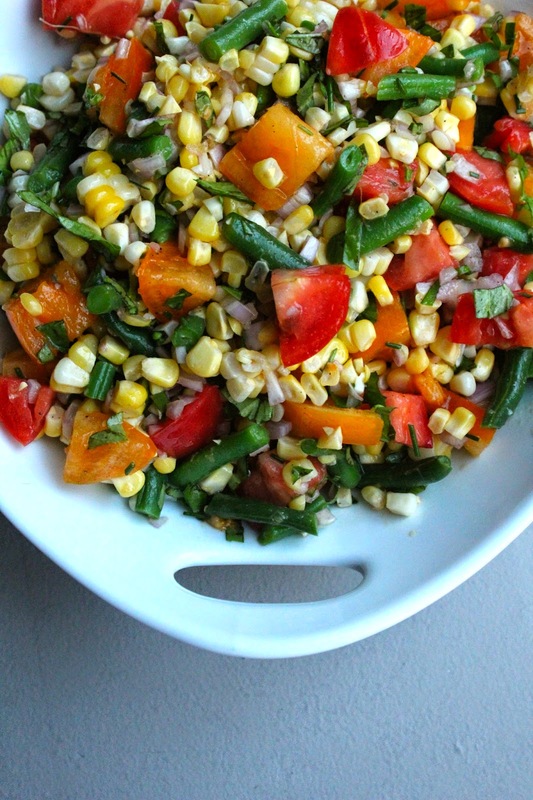 Toss corn and green bean mixture with tomatoes, basil, chives, olive oil, vinegar, salt and pepper. Enjoy!